Plastic bags can be used directly out of the box or on a rack system. High-density plastic is durable enough to hold a wide variety of items. 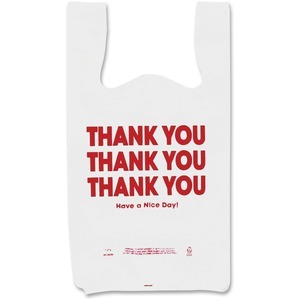 Bright white bag displays "Thank You" in red letters for high visibility.